Without a solid agronomic strategy, a pitch that may have 20 hours’ use in summer may only have as little as 10 hours of durability. Natural turf grass sports fields and open turf spaces are under more pressure now than any time in the past. With an increasing population and high levels of usage, this pressure will most likely grow. What can be done to maintain turf grass quality and safety? And in a way that is economic, less invasive to the community, and in keeping with our stewardship of the natural space? Recently, sports field managers and consultants have started measuring field durability in terms of maximum hours of use. Sports grounds can accommodate 20 to 25 hours a week at the upper level of usage – a figure that has been developed over time by general observation, unspecific to pitch type or seasonal variability. There are significant factors that influence this capacity: variations in type of usage and wear, pitch construction, grass types and seasonal variability. Although it is a complex science, we know one thing that compromises a pitch’s usability – in addition to these variables – is agronomic inputs. If agronomic inputs do not support the pitch correctly, a pitch that may have 20 hours’ use in summer may only have as little as 10 hours of durability. We can also achieve increases in durability in the short term through the agronomic inputs. Many surfaces under-perform against what would be their theoretical maximum durability level. This is where agronomic management of pitches can make a real impact on field quality and resilience. It’s the ‘here and now’ of what we can do to extend the ability of a pitch to hold up against wear and recover faster. Two of the greatest limitations seen in the field is the development of pests and weeds. Both are invasive and without proper management, they can deteriorate sports field conditions quickly. Weeds have evolved to compete against turf grass for resources such as nutrients, water and space. Many weeds, once established, are much harder to remove than to prevent. 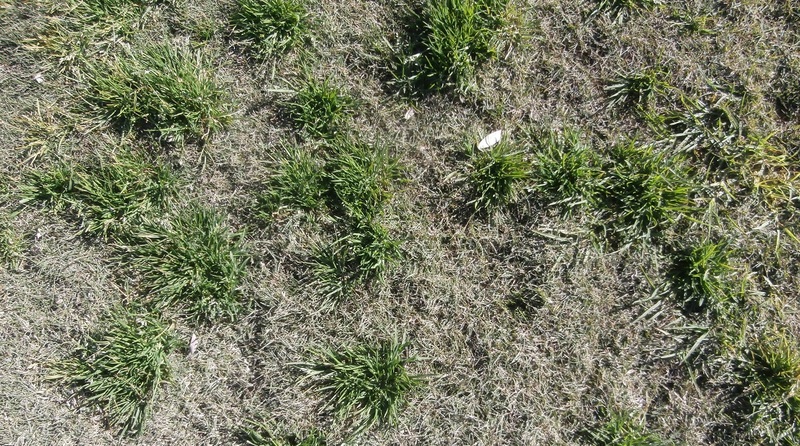 Secondary to deterioration of field quality and competition with the turf grass for resources, clumping grass weeds can also become trip hazards. Pests affect a plant’s health through reduced rooting, which leads to reduced stability and water/nutrient uptake. They also damage foliage, compromising photosynthesis, plant recovery, resistance to wear and turf cover. This is compounded by some pests having multiple generational populations, leading to multiple outbreaks. 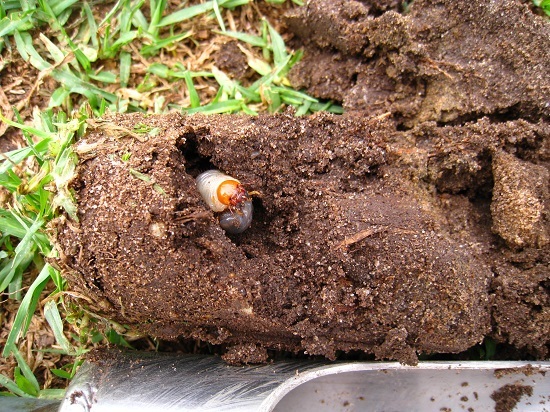 Scarab larvae from African Black beetles and Argentine Scarabs regularly attack turf grass, decimating root systems. Caterpillars – for example, Armyworm and Sod webworm – cause frequent turf damage. In high populations, they can strip large areas of green leaf from the turf surface, which reduces turf recovery and resilience. Once damage is obvious, it’s too late to prevent loss of durability. This is why season-long control options are the most effective in controlling and maintaining field quality and durability. Reducing the negative impact of weeds and pests can be achieved with timely control measures. When assessing solutions, look at options that are strongly preventative to maintain the field’s surface at its maximum hours of potential usage. It is also beneficial to choose options that reduce the number of control interventions – this reduces costs and disruption to the community. Two products that have achieved this are BARRICADE pre-emergent herbicide and ACELEYPRN insecticide. both have been well integrated into field maintenance as part of agronomic programs. they provide season-long control, creating better outcomes in pest and weed prevention and management. they reduce the limitation of potential hours of use imposed by weed and pests, maintaining durability. both are registered for up to six months’ control of weeds and pests. both products are exempt by the APVMA from poison scheduling, creating less disruption and reducing impact on the community. both products are backed by an expansive set of R&D trials in ANZ and globally, ensuring their effectiveness in a range of situations and climates and on a wide range of turf grass species. each product is specifically formulated with quality guaranteed. By applying BARRICADE and ACELEPRYN, proactive pest and weed management can be achieved. When used as part of an overarching agronomic approach that is both proactive and preventative, these inputs can go a long way to increasing sports field durability.